Are you still living in the 20th century, trying to climb the corporate ladder? 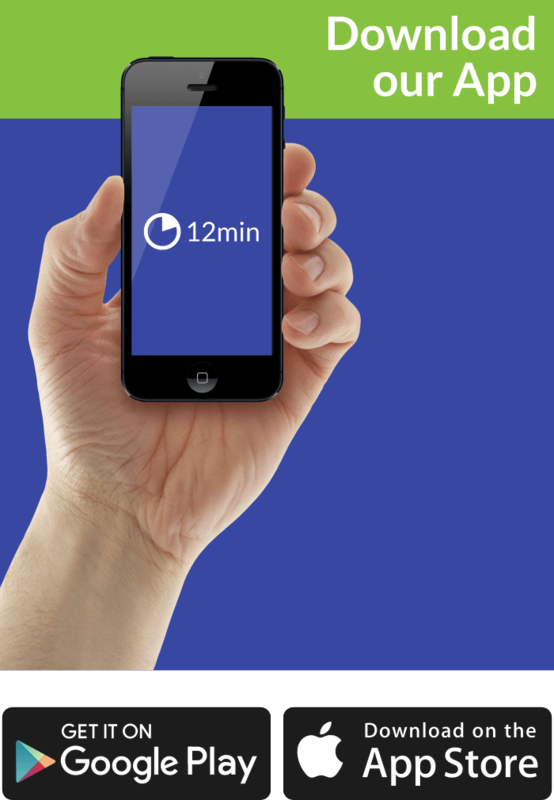 The Business of the 21st Century. Who Should Read “The Business of the 21st Century”? And Why? If you are an employee with dreams of climbing the corporate ladder or a self-employed small business owner, then you’re still living in the 20th century, and you must read The Business of the 21st Century if you wish to make the much-necessary step forward (and upward). 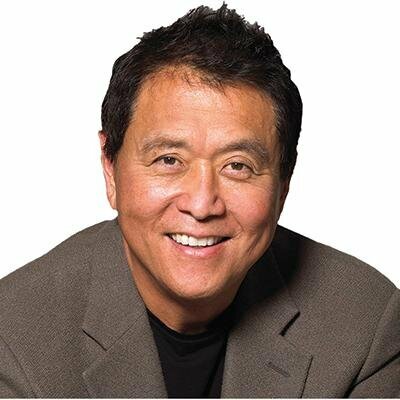 However, if you’re a big business owner or an investor, then you don’t need Kiyosaki’s book: you’ll already living it. is an American investor, entrepreneur and educator, most famous for his Rich Dad series. The original book of the series, Rich Dad Poor Dad, spent six years on The New York Times bestseller list and was named “USA Today’s No. 1 Money Book” for two years in a row. This inspired Kiyosaki to add many other titles to the series which, combined, have sold almost 30 million copies in more than 50 languages and about 110 countries. Kiyosaki has been featured on shows such as Oprah and Larry King Live and has co-authored a book with Donald Trump titled Why We Want You to Be Rich: Two Men—One Message. He has co-written The Business of 21st Century with his wife, Kim Kiyosaki, and John Fleming, an architect, life-designer, and editor-in-chief of Direct Selling News. If you know one thing about Robert Kiyosaki—OK, besides that he’s the guy who wrote Rich Dad Poor Dad—you certainly know his Cashflow Quadrant. However – and expectedly – there’s much more to it! Or to use the words of Kiyosaki, which quadrant do you live in, aka how do you earn most of your money? You’re here if you belong to the overwhelming majority of people. Or, to be more exact, you’re here if you’re happy enough to not belong in the zero-quadrant, also known as being unemployed. Unfortunately, at least according to Robert Kiyosaki, 19% of young white men living in the US between the ages of 18 and 25 cannot find a job. It’s even worse for African Americans: a third of them face similar problems! You, however, don’t. You work hard in a moderately successful company, and you believe that, one day, your career will earn you just enough money to relax in the bliss of retirement. Then again, maybe you’ve already migrated to the S quadrant. Driven by your urge to earn more and to have more freedom, you decided to “fire your boss,” found a start-up, and become your own boss instead. Unfortunately, this has backfired: now you have even less free time (because taking a day off means earning no money at all) and you can’t blame your boss for your problems (because that boss is you). However, you feel that you’re better off than in the E quadrant. Of course, both the small business and the big business owners are self-employed. However, the difference between the S quadrant and the B quadrant is straightforward: in the case of the latter, you’re not working for your company, but your company works for you. Finally, the I quadrant, in which it is not your business which works for you anymore, but your money. You already understand its essence from Monopoly: “four green houses, one red hotel.” All you need now is just a few books to master it. 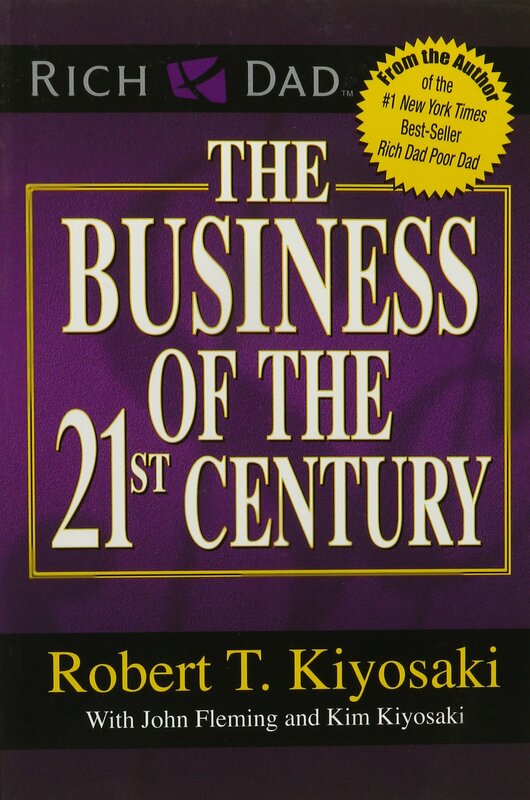 Kiyosaki’s The Business of the 21st Century is not for the I’s and neither for the B’s. It is about the E’s and the S’s. And especially about those young people who haven’t decided yet whether they’ll live on the left or on the right side of Kiyosaki’s quadrant (pun, of course, intended). The corporate myth is over. If you’ve spent years climbing the corporate ladder, have you ever stopped to notice the view? What view, you ask? The rear end of the person in front of you. That’s what you get to look forward to. If that’s the way you want to view the rest of your life, then this book probably isn’t for you. But if you are sick and tired of looking at someone else’s behind, then read on. Basically every modern book on retirement planning states this explicitly: if you’re merely working somewhere, you’re already doing it all wrong! Because you’re living in the past – more precisely sometime between the end of the 19th century and the 1980s. You see, the “employment for life” myth didn’t exist before the Industrial Revolution; before it occurred, in fact, there were many more S’s than E’s. However, once the Industrial Revolution incited the demand for employees, most European governments took over the task of mass education. The system adopted everywhere was the Prussian system – and, miraculously, most school systems in the world are modeled after it to this day. And what they were promised in return? Yet another Prussian idea, devised by then-Prussian president Otto von Bismarck in 1889. We’ve already told you, but let us remind you yet again. Back in the time of Bismarck, the average life expectancy was 45, and not many people lived to be old enough to start receiving their benefits. Now, almost everybody lives past that age, and it’s only a matter of time before pension funds go absolutely broke. Still wanting to be an E or an S? Because you’re smart and because you’ve just realized that unless you’re a B or an I, you’ll never earn enough money to sit back and relax. Well, it means that earning money actively will never get you anywhere; and even if it does, it will be at the price of your own freedom. Think of it as a race. You’re not allowed to take a rest because then you’ll be outrun. However, if you’re capable of finding a way to start earning money passively, then you can sit back and enjoy the view. Think of it as having someone else running in your stead. Now, it’s easy to say this; but somewhat tricky to put it into practice. Because of the obvious Catch-22: in order to earn money, you need a big business; however, you need money to start a big business; the same goes for investing. However, there’s a great way to circumvent this obstacle. Think of it this way: Jeff Bezos, Bill Gates, Elon Musk, Phil Knight – they all had friends when they were 18 or 20. And they all wanted some support for their projects, whether financial or logistical. If you had been one of the people to know them, even a single dollar might have made you a rich person today! Network marketing is all about understanding the power of the power connectors. When it comes to creating business success, it’s not a simple matter of technical skills. Even more important are the life skills it takes to successfully negotiate the B quadrant. The key to long-term success in life is your education and skills, your life experiences, and most of all, your personal character. The ESBI Quadrant is in the very essence of Kiyosaki’s philosophy – which means it forms the basis of almost all of his books. It states that, at least in terms of money, there exist only four categories of people: employees, small business owners, big business owners and investors. The first two belong to the left side of the quadrant; the latter two to the right side. Also: the first two belong to the past; the latter two to the future. Choose wisely – because you can choose. The point is not to get stuck in actively earning money – but to try and start earning. It’s not about income, says Kiyosaki, but about assets which bring income on their own. Spend as much time as you can developing these assets in your youth; you’ll be more than thankful to yourself when you get older. The essence of you becoming a B or an I (instead of living an unfulfilling life as an E or an S) is network marketing. That is, finding people who’ll share your dreams and ideas; people who want to be B’s and I’s as well; people who’ll either buy your visions when the lack of money prevents you from turning them into reality or people in whose visions you can invest. That’s all the intelligence you need to become a successful person. It is not real estate, gold, stocks, hard work, or money that makes you rich; it is what you know about real estate, gold, stocks, hard work, and money that makes you rich. Ultimately, it is your financial intelligence that makes you rich. The Business of the 21st Century was published soon after the financial decline of 2008 and addresses Americans mainly through the prism of this crisis. However, its message – if you want wealth, create it by taking charge of your income source – rings true even a decade later. It does sound a bit simplifying here and there, but there are quite a few interesting takeaways. If you like Rich Dad Poor Dad, you’ll like this one too.